With our summer Skip-A-Pay program, you can experience summer the way it was meant to be! 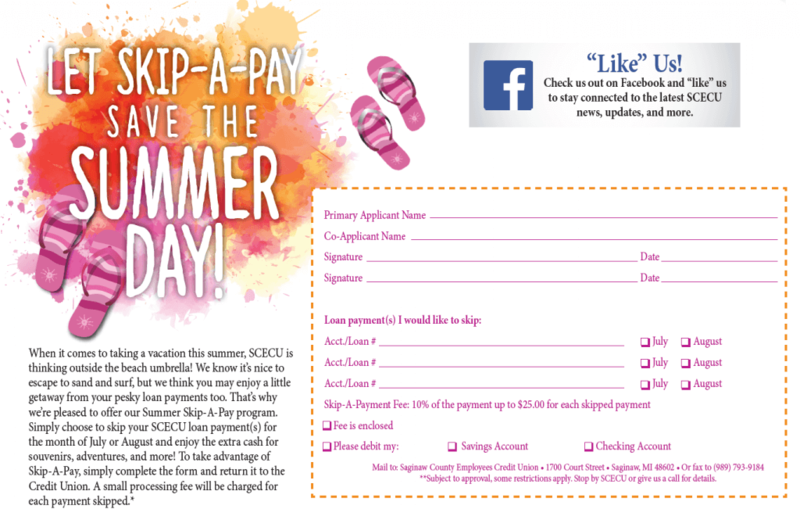 Simply choose to skip your SCECU loan payment(s) for the month of July or August and enjoy the extra cash for a summer getaway, to do projects, new patio furniture, or whatever else you like. 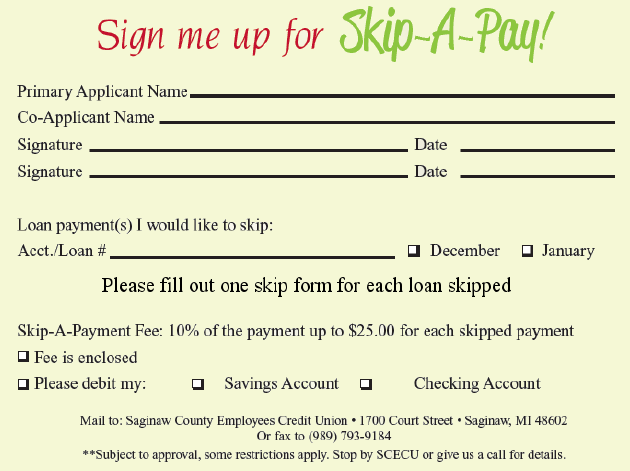 Simply complete the form below and return it to the Credit Union.